For many car enthusiasts making a custom car or enhancing a car that they already own has become a major hobby to pursue on weekends and after work. Construction of one-off air intake systems are a major part of the build and Spectre Performance is offering 3-inch, 3-1/2-inch, and 4-inch outlet diameter PVC, EPDM/TPE, and silicone couplers and reducers to help in that endeavor. 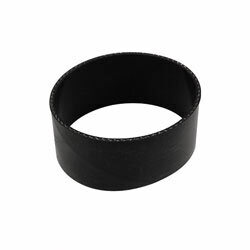 There are 11 couplers made of EPDM/TPE, 14 constructed of PVC, and 3 fabricated of silicone. The 3-inch EPDM/TPE couplers and reducers provide additional angles to allow you to plot out the route you want the air intake to take. 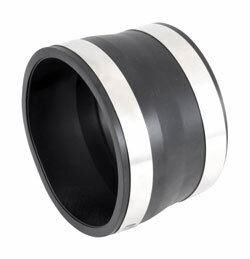 These couplers are black and come in 2.5-inch, 2.75-inch and 3-inch inlet diameters and weigh 0.1, 0.3, 0.4, or 0.5 pounds. They are not recommended for turbocharged or supercharged engine applications. 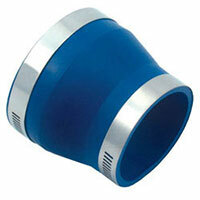 The 3-inch PVC couplers and reducers come in red, blue, and black so you can match the color scheme of your engine bay. These couplers should not be used on pressurized components including turbocharger or supercharger outlets. Inlet diameter on these couplers are 3-inches and they weigh 0.1, 0.5, and 0.4 pounds. The Spectre 8751, 8752, and 8756 reducing couplers are 3-inches in length, connect a 3-inch outside diameter component or air intake tube to a 2-1/2-inch outside diameter component or intake tube and includes two stainless steel worm gear hose clamps. The Spectre 8771, 8772, and 8776 intake couplers connect two 3-inch outside diameter components or air intake tubes together. 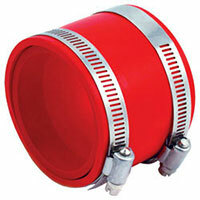 They are 2-1/4-inches in length and include two stainless steel hose clamps. The Spectre 8791 is an elbow coupler with a 90° bend and connects a 3-inch outside diameter component or air intake tube with another 3-inch or 2-1/2-inch outside diameter component or intake tube. It comes with two stainless steel worm gear hose clamps and a 2-1/2-inch removable reducer so that one end can adapt to a 2-1/2-inch tube. 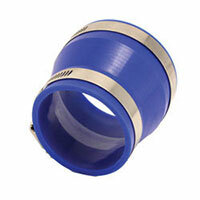 The 3-1/2-inch PVC couplers and reducers feature a 3-1/2-inch inlet diameter and weigh 0.5, 0.6, or 0.7 pounds. 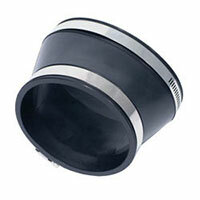 They are not suitable on pressurized components including turbocharger or supercharger outlets. 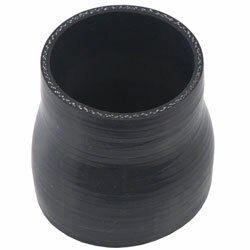 The Spectre 9541 connects a 3-1/2-inch outside diameter component or air intake tube with a 3-inch outside diameter component or intake tube. It is 3-inches long and includes two stainless steel worm gear hose clamps. 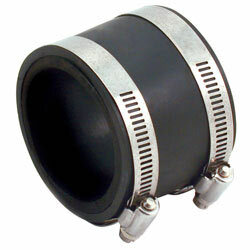 The Spectre 9551 intake coupler reducer connects a 3-1/2-inch outside diameter component or air intake tube with a 3-1/4-inch outside diameter component or intake tube. 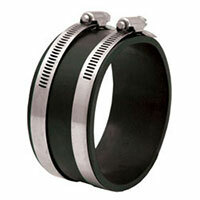 It is 2-1/2-inches long and includes two stainless steel worm gear hose clamps. The Spectre 9571 coupler connects a 3-1/2-inch outside diameter component or air intake tube to another 3-1/2-inch outside diameter component or intake tube. 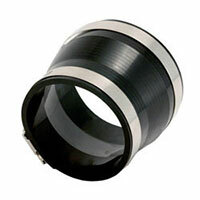 It is 2-inches long and includes two stainless steel worm gear hose clamps. 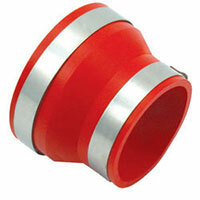 The 4-inch PVC couplers and reducers come in red, blue, and black. 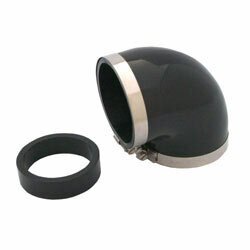 They feature a 4-inch inlet diameter and weigh 0.5, 0.8, or 1.1 pounds. 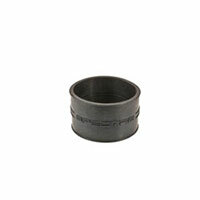 These couplers are not suitable on pressurized components including turbocharger or supercharger outlets. The Spectre 9741, 9742, and 9746 intake reducers connect a 4-inch outside diameter component or air intake tube with a 3-1/2-inch outside diameter component or intake tube. They 3-inches long and include two stainless steel worm gear hose clamps. 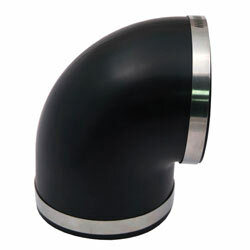 The Spectre 9761, 9762, and 9766 intake reducers connect a 4-inch outside diameter or air intake tube with a 3-inch outside diameter component or intake tube. 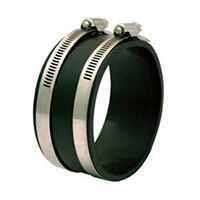 They are 3-1/2-inches long and include two stainless steel worm gear hose clamps. The Spectre 9771, 9772, and 9776 intake couplers connect 4-inch outside diameter components or air intake tubes together. They are 2-inches long and come with two stainless steel worm hose clamps. 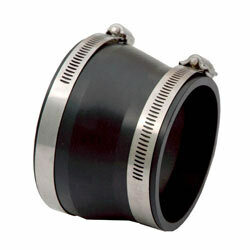 The Spectre 9781 intake coupler elbow connects a 4-inch outside diameter component or air intake tube to another 4-inch outside diameter component or intake tube at a 90° angle. It comes with two stainless steel worm gear hose clamps. Spectre silicone couplers reducers come in red, blue, and black so you can match the color of your engine components. These couplers and reducers will work with naturally aspirated, turbocharged, and supercharged engines with high temperature and boost requirements. The couplers feature three layers of polyester reinforcement and can resist temperatures up to 385° F. Inlet diameters are 2.5-inches, 3-inches, or 5-inches and weigh 0.2, 0.3, and 0.4 pounds. 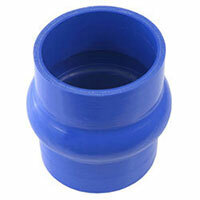 The Spectre 9321 is a 2-1/2-inch into 3-inch silicone reducer. Designed for air intake systems or intercoolers, it is polyester or aramid reinforced to resist air temperatures up to 385° F.
The Spectre 9346 3-inch coupler includes a hump to allow more flexibility in the installation process. Use of this coupler with other Spectre couplers, tubes, and related components allows you to design your own custom cold air intake system. It features polyester or aramid reinforcement to resist temperatures as high as 385° F.
The Spectre 9395 is a 5-inch version of the 9346 and can be used with other Spectre components to create the perfect intake system for your project. Reinforced with polyester, it is capable of temperatures up to 385° F.